I know some think the HR derby is a sham. 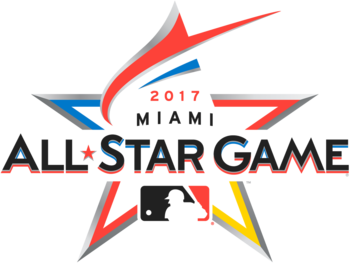 However I like it, I love the new format (timed instead of by outs), and the results speak for themselves; by some accounts tickets for the HR derby are going for more money than the All Star Game itself. And this year seems rather compelling, with the defending champ and inarguable holder of the league’s current title of ‘Best slugger” in Giancarlo Stanton the #1 seed in his home town, set to hopefully face off against the #2 seed Aaron Judge, who is busy setting Statcast exit velocity speed records and running away with both the AL MVP and Rookie of the Year award (last time someone’s done that? Ichiro Suzuki in his “rookie” year in Seattle). So we know they got Stanton and Judge right; who else is in this year’s tourney and who *should* have been there? I’m with Logan Morrison here: half field makes no sense compared to who *should* be in. In my perfect world, here’s who i’d have in the tourney. This is a combination of looking at the 2016 HR Derby field, 2017 home run leader board, the 2017 hit tracker longest home run list, the Statcast exit velocity/average HR length figures, and my own personal opinion. 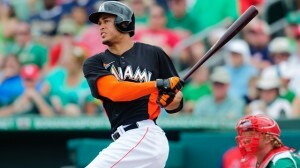 Giancarlo Stanton; defending champ and clear #1 seed. Mark Trumbo: last year’s #1 seed and was a monster in the derby. Bryce Harper: perhaps a homer pick, but he’s clearly a masher of the ball and deserves to be in this tourney. He turned it down yet again in 2017. I don’t know why. Kris Bryant: A Harper-Bryant first round would be just like their school-boy days in Las Vegas. George Springer: 2nd in the league in homers right now. Kris Thames: great reclamation story, has 20+ homers in his return to the majors. Cody Bellinger: the LA rookie has had nearly as impressive a breakout season as Judge. Kyle Schwarber: I love the look on his face when he really mashes one. Joey Gall0: another power-first guy who can really back into one. Miguel Sano: a deserving participant this year. Marcelle Ozuna: can’t believe this guy is playing CF for the Marlins. Paul Goldschmidt: he’s definitely one of the elite home run hitters in the league. Mike Napoli; just for the beard. Nelson Cruz: believe it or not, he’s the league leader in homers for the past three 3+ seasons inclusive, by a sizeable margin over #2. Edwin Encarnacion: #2 behind Cruz in total homers; I know he’s having a down year after leaving Toronto but he’s still a slugger and a half. Chris Davis: you don’t just fall into 50+ home run seasons. Albert Pujols: only makes sense to have the active HR leader in the field. What do you think? Did I miss anyone obvious? Oh a prediction: I like the two top seeds to advance, with Stanton beating Judge in an anti-climactic final.